It appears that many Facebook users, my family and friends included have noticed that their timeline isn’t refreshing, their notifications aren’t coming up and that their friends posts are not appearing! 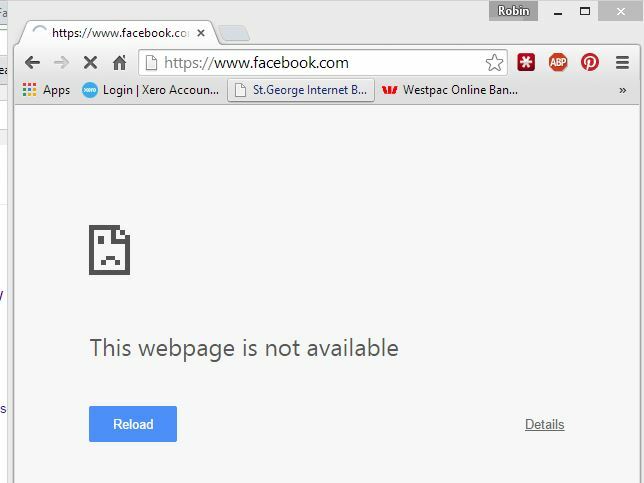 Issues with Facebook was first reported around 3PM Australian Eastern Standard Time (I wouldn’t have known considering I was attempting [key word, ‘attempting’] to pump iron at the gym!). I did notice however that I couldn’t tag myself after my gym session, but it only clicked when I got home to check what everyone else was up to, that I knew something was up! Other applications like Tinder and Instagram are either offline or experiencing difficulties at this point in time. WhatsApp, owned by Facebook though, appears to be working as per normal. To resolve this issue, closing down the Facebook app on your iPhone won’t do it, powering your mobile device on/off won’t bring it back online, restarting your router will not resolve it… The issue appears to be with Facebook and it’s servers at moment. Right now, should you need to contact someone, it’s probably best that you get up off your arse, head over to your friend/colleague/family member and actually speak to them, face-to-face, rather than using social media to communicate/conversate (if that’s even a word!). Previous Article Trust Relationship Errors – Not the ones you need to hand over your mobile phone for!